As I recently added a topic about earning on instagram today I will share with you how to build a strong profile there. A few tips thanks to which you can build a popular profile on instagram. If you are interested in the ways of developing an account and acquiring new followers, I invite you to the content of the guide. Maybe you will not be the star of instagram straight away, but it will certainly help you in gaining popularity and fans. This is a very important point, because not every topic has a chance to become popular. Do not follow your own taste, watch the majority. What you like about you does not necessarily appeal to others. The Internet has its own rules and you do not have to be unique in order to gain popularity. You do not need to have a unique niche, a unique style - followers perform much better statistically than people who try to come up with something of their own (just look at "pato-streaming"). Choose a niche that enjoys popularity and take an example of people who are already in this niche - you will have a much better chance of building a popular profile than when thinking about what to do. Do not choose niches in which the competition is very small or not - this usually means that there is no demand for such content. As there is demand, there is also supply - if there is no supply, the demand probably is not there. Your description and link in BIO . 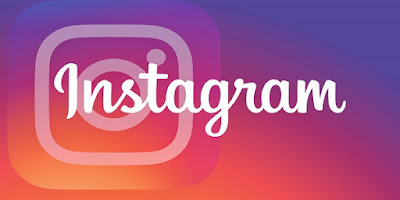 The name does not have to be associated with the chosen niche, although at the very beginning it can help (on the instagram is also a search engine and it is worth to shoot in the words that people are looking for). Common profiles have their own names, their nicknames or names and surnames. Your profile may be fictitious, then it would only be a pseudonym + "official". "Official" in the name is important for the credibility of the profile, raises status and prestige. A profile picture should be associated with niche, at the beginning absolutely - later it can be associated with a fictitious person who allegedly runs this profile. People are visuals, which is why the selection of this photo is important. It's worth considering at the beginning and using the same avatar everywhere, so that you can start to associate with our profile - then even if someone forgets the name and goes to this avatar, he will immediately associate it with our profile. If we think about earning Instagram seriously, in our avatar we can put our logo - so as to build a brand among our customers (followers). The fact that instagram is used to build a brand, I do not have to mention - just look at popular company profiles. 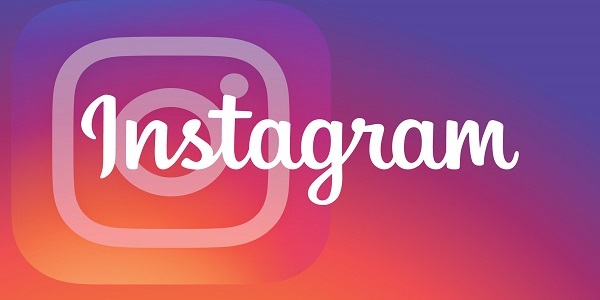 Brands want to be on instagram, so they see benefits in it. Everyone can add a short description of the profile and a link to the selected page. The description should describe succinctly and meaningfully the contents of the profile, e.g. "Find here ...". The link depends on what you are advertising, it can be a link to the affiliate offer, but it can also be a link to your website or other social media profile. The same goes the other way, on other social media it is worth to link and recommend your profile on instagram. The content of the profile is much more important than the name, avatar and description. What matters is a constant presence, not adding a large group of photos at a time. Prepare content in advance, plan what and when you add to make it interesting. Remember that the more interesting the post - the more reasons your audience will leave behind. Regularly monitor and record which posts related to your niche have gained the most popularity and then add similar ones. After some time, you can add the same content that was popular before. Publishing what the followers want to see is the best method for the fan to become the buyer in the end. You need to keep your audience's interest and stimulate them to interact (eg, leave a comment). In the context of building a brand, it is worth to make apparently consistent material available. These can be photos in the same style, e.g. with a specific frame, a specific shade, passed through a specific filter. The idea is that content is associated with your profile. You can also add a watermark to your photos so that even after copying and pasting somewhere else, they direct you to your profile. Thoughtful content is also relevant hashtags. Tags allow you to automatically conquer the number of likes in the initial period after publication. The right choice of tags adequate to your niche is a very important aspect of developing your profile on instagram. A maximum of 20 tags can be added under each photo. If you have no idea what tags to add, just copy them from the competition. Browse the photos of the competition and copy tags from the most popular ones. The method is very simple and remarkably effective. Often, the question about the right time of publication also goes through. If you're interested in large ranges and are definitely interested, you need to add photos in a timely manner. On instagram, the best results are achieved in the morning (before work / school) and after official business hours (that is, after 5:00 PM - when people returned to their homes). It's important to understand that photos on the "whiteboard" are visible only a few hours, so publishing photos at night is pointless. Activity is not only a way to advertise a profile, but also to increase the followers' involvement and content improvement + selection of hashtags. First of all - do not skip comments - answer your observers, thanks to which you will gain their sympathy and increase your involvement on your profile. The more the discussion develops, the better the chance for newer comments and likes. Engaged followers also have more potential in the context of becoming your client. Secondly - regularly observe the competition - observe what tags he uses, which he puts in photos, which pictures are popular with them, which are less. Observing the competition, you have much more data to build your own strategy. Thirdly - advertise through interactions - Comment, like and follow other profiles. Apparently, it has been proven that this order gives the best effect - that is, first comment, then liking, and finally folling. Get involved in the competition profiles, but also on instagrams not related to your niche. The more interaction, the better - this is how popular profiles are built on instagram.